Postmates is the leader in offering the most choice in on-demand delivery from more than 500,000 restaurants, grocery and convenience stores, as well as traditional retailers. The company now operates in about 3,000 cities and has added some of the most sought-aftr local and national restaurants, serving 65 of the top 100 restaurants in the US. Postmates helps people unlock the best of their cities – and their lives, with the leading on-demand "anything" network. Launched in 2011, Postmates led the on-demand delivery movement in the U.S. by offering delivery from restaurants and stores previously only available offline. The company now operates in nearly 3,000 cities across the U.S. and Mexico, provides access to over 500,000 merchants and has recently launched innovative new products including Postmates Party. Postmates is headquartered in San Francisco and has more than 800 employees. 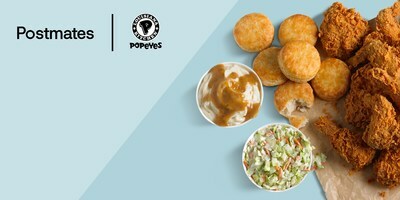 Learn more: www.postmates.com.